He graduated from the 1st Experimental Lyceum of Athens, studied law at the National University of Athens, continued with theology and received his PhD. He completed his studies in Germany. Returning to Greece he works as a school teacher while at the same time he’s teaching religion the King George II. He became a member of the Academy of Athens in 1931 and chairman in 1939 . He served as Minister of Religion and Education in Demertzis government (1936) after the restoration of the monarchy in Greece but resigned due to a disagreement with the President on the university issue. 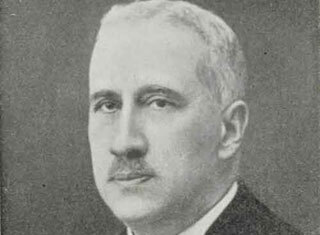 He became Minister of Education and currently Minister of Supply in the government of Petros Voulgaris in 1945. He was also a regular member of the Christian Archaeological Society. D.S.Mpalanos , Kouzis, P. Aristotelis (eds), Εθνικόν και Καποδιστριακόν Πανεπιστήμιον Αθηνών. Εκατονταετηρίς 1837-1937 (National and Kapodistrian University of Athens. Centenary 1837-1937), Ekdoseis Pyrsos, Athens, 1937-1952.